Here at Independence Ltd we've put together a wide range of tights that from our experience we believe will be both practical and attractive. Our Standard Tights are slightly thicker than the tights in the shops; the nylon is knitted to the highest specification to resist laddering and available for hip sizes of 42 to 100 inches. Ordinary tights are very convenient to wear, but they do not allow the body to breath. This can often result in warm, damp and unhygienic conditions in that sensitive area, causing discomfort and infection as well as aggravating and painful problems such as cystitis and thrush. Our Airflow Tights offer relief from these problems. 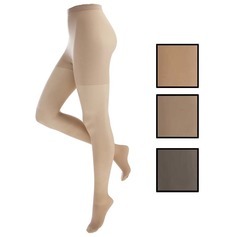 Compression Hosiery is often prescribed to prevent leg ulcers recurring and to control oedema. 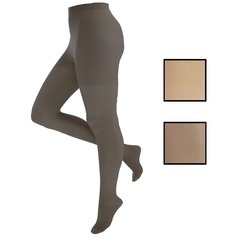 Our Medium Support Tights will not only help but look great too!